Take a waterfall road trip to some of our favorite waterfalls in North Georgia, hiking four miles to four stunning falls! At around four hours drive time from Atlanta and several hours on the trail, it’s a perfect single-day adventure. There’s no shortage of gorgeous waterfalls worthy of a visit in North Georgia. 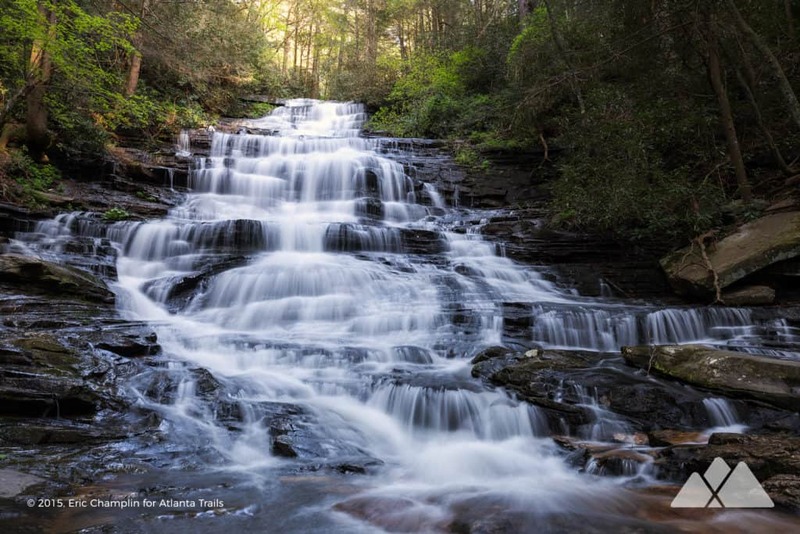 From the graceful, spilling cascades of Georgia’s tallest waterfall, Amicalola Falls, to the roaring torrents of Jacks River Falls deep in the remote Cohutta Wilderness, the mountains of North Georgia are teeming with falls waiting to be explored. Hit the road on our Georgia waterfall road trip to the shores of Lake Rabun and Lake Burton, visiting four of our favorite North Georgia waterfalls. Knock several off your bucket list chasing four of our favorite, lesser-known falls in North Georgia. It’s one of our favorite one-day road trip adventures, exploring four waterfalls on three trails: Hemlock Falls, Angel Falls, Panther Falls and Minnehaha Falls. The trails are relatively short, the falls are gorgeous, and the drive between them is scenic and winding – making for a great, all-day, family-friendly adventure (and some incredible photos, too). Grab coffee and a bagel before you leave the city, and hit the road for an early start to make the most of the day on the trail. Leave Atlanta early to miss the weekend traffic and enjoy a scenic sunrise drive to the beautiful mountains of North Georgia. Arrive at the trailhead by 10 am, allowing plenty of time to enjoy the first hike on this adventure, the hike to Hemlock Falls. The Hemlock Falls Trail follows the boulder-filled Moccasin Creek, climbing into a shady forest filled with moss and rhododendron. The hike crosses the creek over a wooden bridge, spotting smaller waterfalls along the way. The sandy banks of Hemlock Falls make a great place to take a break and enjoy some morning serenity, before retracing the trail to the trailhead and continuing the adventure. The short 30 minute drive to the Angel Falls Trailhead meanders along the beautiful shores of Lake Burton and Lake Seed. The drive’s views are ultra-scenic, catching vistas of the lakes’ glassy waters and the stunning vacation homes and boat houses on the lake shore. 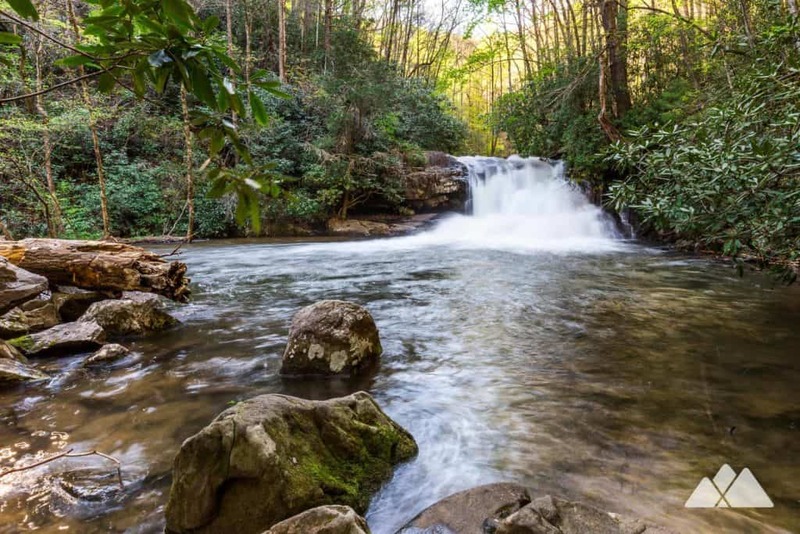 The Angel Falls Trail departs from the Rabun Beach Campground on the shores of Lake Rabun, a perfect place to enjoy a picnic lunch before hitting the trail. This double-waterfall hike spans 1.75 miles, round trip, trekking a moderate climb to the duo of falls. The trail follows Joe Creek, gaining elevating through a shady forest filled with fern, moss, and rhododendron. The trail passes a historic stone spring before stopping at the first waterfall, Panther Falls. After enjoying the cascading water, the trail continues to climb through the steepest stretch of trail before reaching Angel Falls. Take in the views of the waterfall from the wooden viewing platform before following the trail back to the trailhead. The 10 minute drive to the Minnehaha Falls trailhead travels around the western end of Lake Rabun, offering more gorgeous lake views. The Minnehaha Falls Trail is short and sweet, and the payoff is spectacular! Minnehaha Falls is arguably one of the most beautiful in Georgia, and at just .4 miles, it’s an excellent way to end the day. The trail rolls moderate elevation through gnarly rhododendron filled forest before entering a clearing just below the falls. The trail is short, and easily completed in an hour or less, even after a generously long rest at the falls. Travel time back to Atlanta from the Minnehaha trailhead is around an hour and 45 minutes. What to pack for a great Georgia waterfall adventure? Ready to chase some waterfalls on a great road trip, but wondering what to pack? 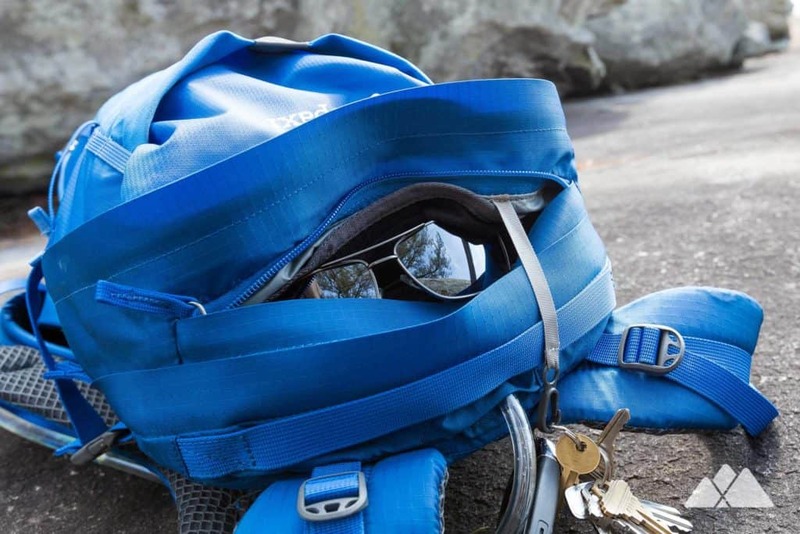 Our hiking gear list features our favorite, trail-tested hiking gear for day hikes on local trails and in the Georgia backcountry. We print and stitch our Atlanta Trails shirts and hats locally in Atlanta and Asheville, and they’re our favorite for trail adventures all over the South. Please leave no trace and help preserve Georgia’s beauty. Finished early and looking for more hiking and waterfalls nearby? 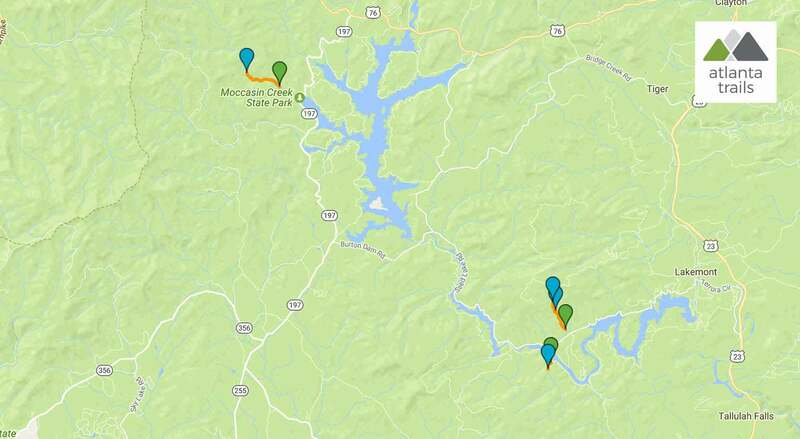 Check out some of our other favorite trails in Rabun County. 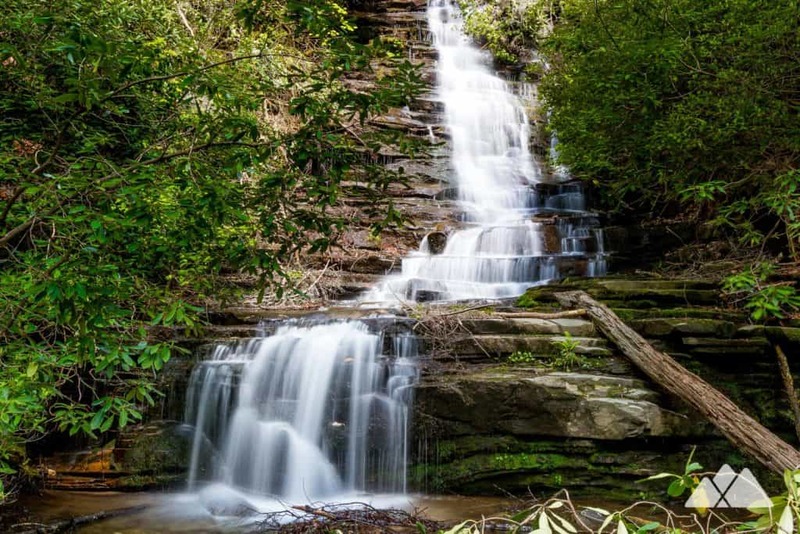 And there’s plenty more waterfalls to explore on our top 10 favorite Georgia waterfall hikes and our favorite waterfalls hikes under two miles. Free parking is available at Hemlock Falls and Minnehaha Falls. Parking at the Angel Falls and Panther Falls trailhead is $4. Note: the GPS coordinates and directions below are to Hemlock Falls. From Hemlock Falls, drive to Angel Falls. After hiking Angel Falls, drive from Angel Falls to Minnehaha Falls.